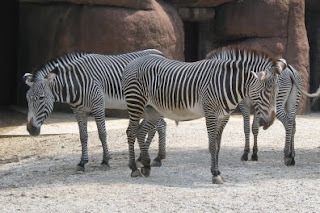 We took a field trip to the zoo today. 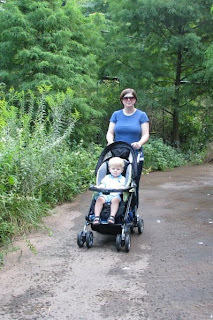 The St. Louis Zoo is one of the few free-zoos still left in the country and we wanted to take advantage of it. Plus it's only 10 minutes from home, and you can't beat that. 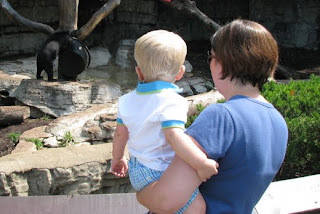 Christopher was able to see lots of his favorite animals up close. He seemed to have a lot of fun, especially in the monkey house. His all-time favorite animal, the lion, was a little sleepy today. 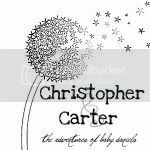 And although Mommy and Daddy saw him sleeping in a tree, Christopher couldn't really locate anything that wasn't moving. 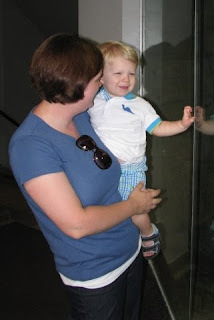 It was a perfect 83 degrees and Christopher was able to stay awake past his nap time to check out the cool animals. Enjoy the photos below from our wonderful day. 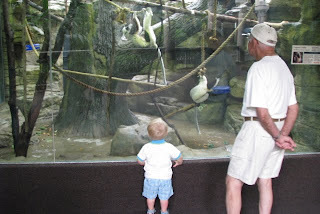 Christopher and another zoo guest checking out the monkeys. 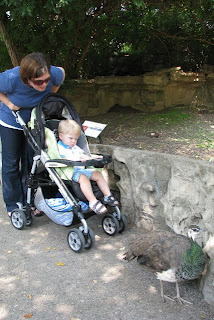 Mommy and Christopher chasing a Peacock - one of Daddy's favorite zoo animals. 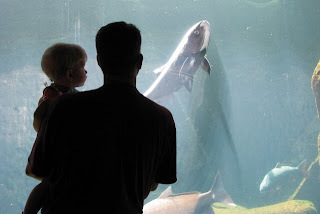 Christopher and Daddy checking out the large-fish tank. 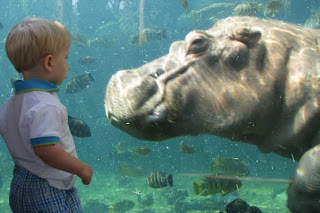 Christopher loved any animal behind glass walls. Watchin the seals at feeding time. The bear playing with his toys was so silly. Wow! 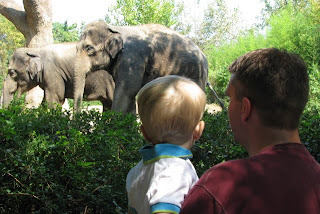 Those elephants are big! Christopher got a good chuckle seeing them. 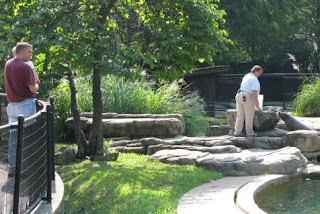 I love the zoo! Looks like Christopher had a great time.